Our Winter has had its ups and downs. One day it's 82 degrees outside, the next day it's cold and rainy. This was the view yesterday. Very cold, rainy, and overcast outside. Seeing as how Shiner hates getting her paws wet, she surveyed the yard for rabbits, birds, and phone utility men from inside. This is our weekly photo for the 52 Snapshots of Life Photo Challenge hosted by The Lazy Pit Bull. The theme this week is "Winter". What else have we been up to this week? 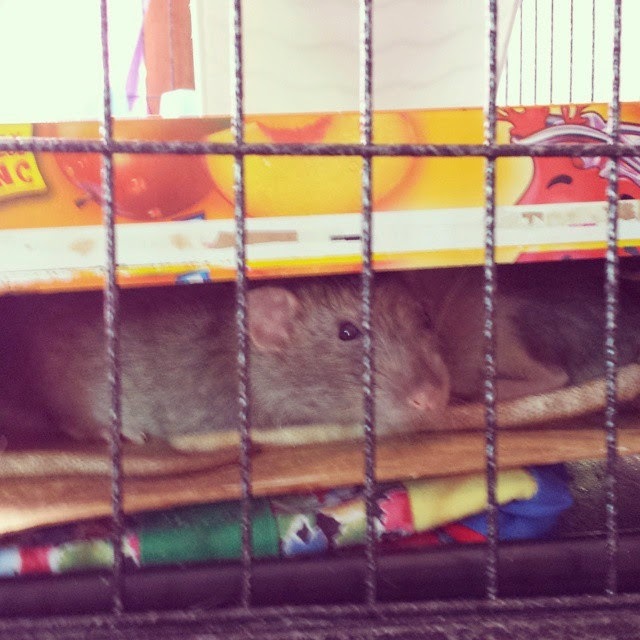 The Rat Bros have been sharing their warmth with each other and sleeping in boxes together. 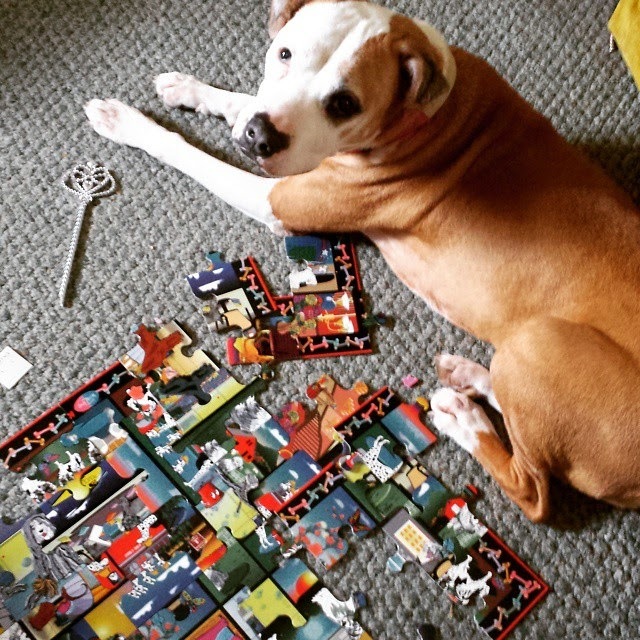 Shiner helped put a puzzle together... kind of. 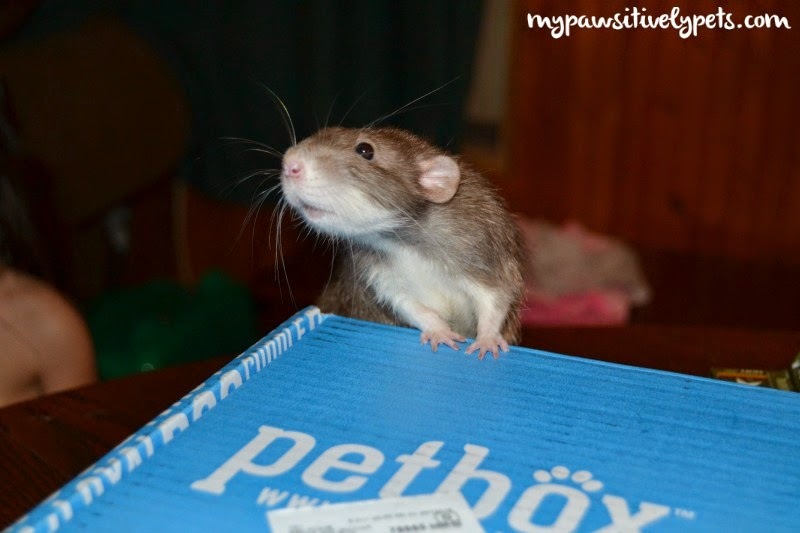 And Gus enjoyed playing with Shiner's PetBox. And those are our weekly snapshots! Here's to a new week, with some better weather. Shiner, I'm with you. Wet paws are awful :o) what have you discovered? the post guy? We would like it to warm up to about -10C ourselves lol! Hope your weather improves. Yucky weather is just no fun at all Shiner. Howdy Gus, looking good! We heart Gus! What a cutie. We also really love winter...it's perfect for cuddling and playing wand toy games. Ok... every season is actually perfect for that. We agree with Shiner, it is no fun to play in the rain. We would prefer a little bit of snow! Enjoy your Sunday. Well, we're definitely having winter today. Big snow storm...we have about a half foot of snow so far. Yikes! She's a girly girl, I don't blame her for not wanting to get her feet wet. We are completely snowed in today. I couldn't imagine nice weather right now! Everyone has their own view of winter...makes the word interesting. Your week sounds a lot like ours. Almost everyday we are threatened with snow, they close the schools in the middle of the night, and then it only rains. This cold damp dreary season has got to change soon. Take care and hugs to Shiner. That's your winter? Seriously? lol....that's funny lol!!!!!! Come on up here, we got a foot of snow yesterday. Poor Dakota wouldn't pee because he was buried...had to take him into the driveway in the apt complex....poor guy. Have a great Monday! Rainy?? We have got blasted with SO much snow throughout January it's crazy!!! I thought our whole winter was ruined because there was barely any snow the whole season (and we are in Canada!!!) But then along came January!!! Sheesh! 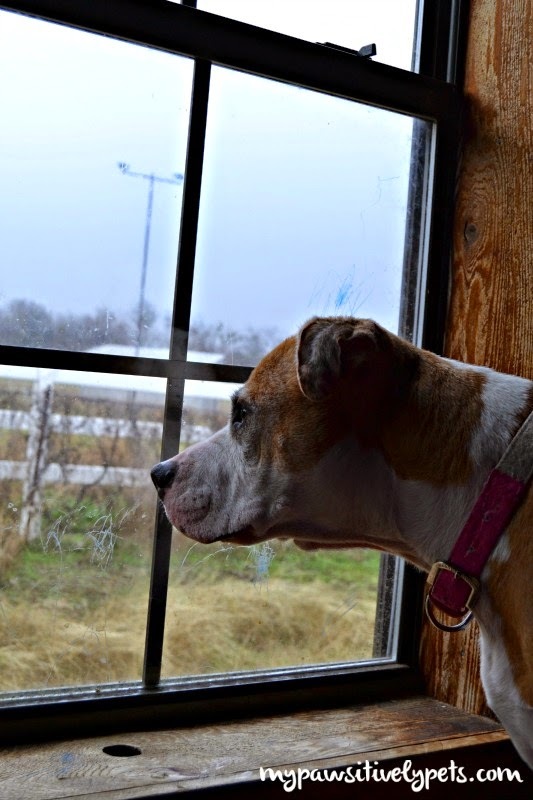 On cold and rainy days it is best to be on the inside looking out. Great photos this week, Ann! Stay dry! I just love your rats. They're so stinking cute! Shiner did a great job with that puzzle, and I must say snuggling up like Jack & Gus is the perfect way to handle winter. Utility Men are very exciting around our house too, Alert Barking is sounded up and down my street! Squeeee, I just love Gus!! Shiner is a smart boy. Enjoy your rollercoaster winter!